**WARNING: This post may contain graphic details you may or may not want to hear about (i.e. Dad). And, it may be excessively long. So, go grab ample food and water supply, your favorite snuggly blanket, and sit back, relax and read on. Oh, and enjoy! Before jumping right into this post, see the preface post HERE. Don’t miss all the exciting, intro details. 3/4 by 4:45AM – At this point I knew I was in active labor. My contractions were anywhere from 3 to 10ish minutes a part. I told Geoff to call THIS girl as she was our in-the-middle-of-the-night call to take care of THIS little GUY. 3/4 5:00-5:45AM – I jumped in the shower, threw last-minute items in our hospital bags, and scarfed down a PB&J sandwich and blue Gatorade (meal of champions for sure!). Contractions remained consistently 3 to 8ish minutes a part by this point. I think the last-minute runarounds were keeping me busy and distracted from the pain. 3/4 6:00 – Arrived at the hospital. Our doula met us at the front door ready to go! She is a-mazing! 3/4 6:30AM – Checked into Labor & Delivery (L&D) Unit. I was then sent over to triage to see if I was “really” in labor, to which I was pronounced to be 7 centimeters minutes later. Yes, yes I was in fact in labor. I was then whisked off to a “real” L&D room to have my babe! 3/4 7:00AM – I finally arrived in my L&D room, met my nurse, and got ‘comfortable’ (whatever that means to a laboring woman). 3/4 7:30AM – Like with Tate, I really wanted to labor as much as I could in a tub of warm water. Hydrotherapy while laboring feels soooo good (like I said, whatever that means to a laboring woman). About this time I hopped in the tub and began to relax a little. 3/4 8:00AM – Back on the monitor. The hospital requires you to be monitored for 20 minutes every hour. In and out of the tub I go. I sat in the rocking chair while being monitored and really was comfortable. My pain level was low and I was managing everything very well at this point. 3/4 8:20AM – After being monitored, I decided to stay in the rocking chair and ‘chill'.’ I was feeling fine and did not want to ‘rock the boat’ with moving around too much. 3/4 8:45AM – My doctor had a scheduled c-section that morning. He stopped by my room before leaving for his scheduled office hours to see my progress. At this time I had progressed to 8 centimeters. My doctor said “I am going to head to my office because if I stay and wait you will have the baby at noon, but if I leave you will have her by 9:30.” He left the hospital to his office t-minus 13 minutes. 3/4 9:00AM – Back to the monitor. Everything still very good. After the monitoring, I decided to go back to the tub. 3/4 … little progress... I had the nurse check my progress a couple of times and I remained at 8 centimeters for a couple of hours. I think part of the reason I had little progress was because I was comfortable sitting in the rocking chair and/or tub and did little moving around to have gravity help with my progress. 3/4 10:30ishAM – At this point I was getting frustrated with my minimal progress. I began walking around the room, standing and leaning over tables and trying to move this little girl down and OUT! 3/4 10:40ish AM – Within minutes of moving around things got INTENSE!! I mean really intense. 3/4 11:00AM – At this point I began to tell the nurse I was really feeling the urge to push soon. I do not think she believed me (actually she did not believe me) and kept saying I wouldn’t feel the urge until my water broke (which is false because I pushed for a good 30 minutes with Tate before my water broke). 3/4 11:15AM – Things were really, really intense at this point. I still remained calm and tried to relax through the contractions, but they were very hard contractions and coming quick! 3/4 11:33AM – Begin pushing. 3/4 11:35AM – My water broke. Nurse calls the doctor at this point. 3/4 11:45AM – Madelyn Elizabeth Stevens is born. She weighed in at 9 pounds 5 ounces and measured 21 inches. She was absolutely perfect and completely healthy. 3/4 11:51AM – Doctor walks into the L&D room. Yes, you read that correctly! My doctor showed up for the birth after the birth!! I really think if the nurse had called him when I said I was feeling the urge to push and not when my water eventually broke he would have made it. In the end, Baby Maddie was delivered by a wonderful resident doctor on call. For the next two hours Geoff and I got to stay in the L&D room all by ourselves and bond with our sweet baby girl. She entered the world starving and ate for a straight hour after birth. Since she has continued to have a big appetite and to be great eater. During all my prenatal appointments my doctor kept describing my second birth experience as being “more intense.” I really did not understand what he meant by the word intense, that is, until I experienced my second birth. More intense would be the perfect way to describe the experience. It was HARD. I think harder than Tate’s birth, see post HERE. I think the reason why it was “more intense” was due to the shorten period of time the birth happened. Everything was much quicker! And… her weight may have had something to do with it as well! What a wonderful experience the entire process was. There was an amazing, sweet spirit that filled the room and our hearts through the process. I am grateful for the trust my Heavenly Father has in me to be this sweet baby girls mother. The calling of parenthood is challenging at times, but oh so humbling. I am so excited for the adventure ahead to be this little ones mother and to her grow and progress here on this Earth. Enjoy the pictures of our growing family minutes after her arrival. ^^Geoff cutting the umbilical cord. ^^Using that new set of lungs! 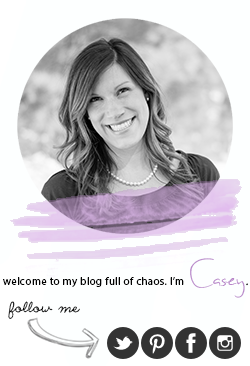 I can't tell you how much I look forward to reading my beautiful, talented daughters blogs. I love hearing about the great days and the stressful days... Even when we have already chatted on the phone about them.... I still smile every time I read her blogs. This is such a tender , personal account that is heartwarming and honest.